A Oceanside Chiropractor Who Truly Cares! Naturally, chiropractors help traditional back and neck problems, but chiropractic has also produced wonderful results with a variety of other health problems. Newborns, seniors and everyone in between can benefit. Please take a look at some of the success stories our patients have shared with us. As a safe, conservative approach, chiropractic is a natural solution that relies on your body’s ability to heal itself when there isn’t any interference. Chiropractic is both safe and natural and can help provide the relief that you need! 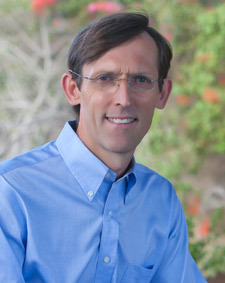 Learn more about Oceanside chiropractor, Dr. Michael Jacobs here. He will listen and then devise a care plan that will work for you! With chiropractic, you can expect to see results! We’d like to meet in our Oceanside practice and discuss your health issue. We will explain what chiropractic can do for you! Give us a call today! How Long Should I Use Chiropractic? He was very informative and not only that but good and gentle on me! Loved it. Informed my coworkers and husband to try this place out. I walked in miserable and left feeling like I wasn’t broken. I’m sure Dr. Jacobs will make a huge difference in my well being. Awesome service! I’m so thankful I chose Dr. Jacobs! I thought Dr. Jacobs was a very good listener and spent the time to explain the treatment plan and process with us. I have never been to a chiropractor before and was concerned. Very friendly office staff and Dr. Jacobs is awesome! Great experience. Great people, great doctor. Will be returning. It took 1 adjustment for my scapula pain that I have had for 3 months to go away. Thank you from the bottom of my heart!! Dr. Jacobs was professional, helpful, and personable. My evaluation and adjustment were stellar, and I look forward to returning in the future! You and your team are fantastic! Very helpful and saved me money on top of everything else. A big thank you to everyone. Wow, I have never been adjusted like that. I think the initial check was more thorough than anyone has ever done. So when the adjustment happened, Dr Jacobs was “honed in”. It is the morning after and I am still starstruck. Amazing staff! I was very pleased and will never go anywhere else. Dr. Jacobs is very mindful and insightful in both his diagnoses and treatments. The office staff is wonderful and so easy to work with. I have never been kept waiting. This is an excellent chiropractic practice, which I would highly recommend. Alex at the front desk has been flexible with my schedule and very helpful and friendly. The Doctor was extremely effective and comprehensive in his explanations and treatments. I look forward to good health. Cheers! Love this practice, excellent work doctor Jacobs! I’m so happy to have found dr Jacobs!! I’ve been searching for a great chiropractor in the area for about 3 years! He’s excellent.. I highly recommend!!! Dr. Jacobs was excellent and really helped my 12 year old daughter in only 2 visits with a strain in her neck. He’s fantastic and explains everything! Thank you for all your help! 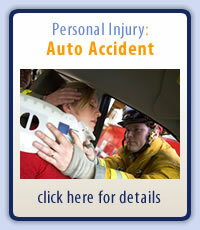 After being in a car accident, Dr. Jacobs and Angie, you have been so supportive! This is the first time I feel like I am going to be able to get back to my normal activities. I was very impressed with the friendly, professional care I got from the office staff and Dr. Jacobs. I can feel a difference in my pain level even after one visit! Thank you for helping relieve my pain! Very courteous and welcoming staff and I felt that I was cared for wonderfully. Very satisfied. Very pleasant soothing office. In one visit Dr. Jacobs identified the cause of the vertigo . He has been able to help me tremendously. Thank You Doc. You truly are a healer!!! I’m so happy I was referred to Dr. Jacobs ….he listened and addressed all my concerns …feeling so much better after my first visit. Great adjustment, still holding and lower back feels much better! Wasn’t exposed to up sales. No unnecessary X-rays, etc. I felt comfortable a will continue my treatments. This place was lovely and the doctor was amazing. Thank you for making my hip feel like new again. I am so grateful, I was able to enjoy my snow boarding trip. I will be back soon for another appointment. Front desk staff are attentive, knowledgeable and friendly. Dr Jacobs is very personable and definitely knows what he’s doing. I left feeling great and I’m looking forward to my next visit. I feel better after just one appointment. Very helpful! Great first experience. Very helpfull and welcome staff. 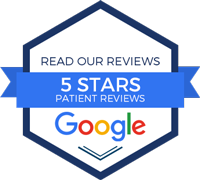 Doctor was great with explanations and you can tell he has a positive attitude towards making us patients happy and healthy! Dr. Jacobs is so friendly, knowledgeable, and truly cares about his patient. I felt so comfortable and like he had an overall passion for wellness: mentally, emotionally, and physically. He’s got a great sense of humor, personality, and optimism. Dr. Jacobs is an amazing Chiropractor and individual. The experience was great and my pain was less with just the first visit. Gave me some relief for the first time in years. A few more visits and I should be pain and discomfort free! Dr Jacobs took the time to listen to me. He gave me the confidence that coming here will lead me to wellness. I am impressed with his skill and that he helped me on my first visit. I am thankful that he seem to really care! Gentle, knowledgeable, personable, helpful. Great experience! Thank You, new Alex, Dr Jacobs, Angie and of course Mya, for bringing your parents to The Total Dog so that you could feel better, I am now able to feel better too. Much gratitude to Carlsbad Wellness. Received great advice. What a great experience! I appreciate knowing I can trust Dr. Jacobs and that I feel that he has mine and my children’s best interest at heart. Thank you! They are personable, helpful, gentle, and talented! Excellent health care provider, takes insurance and reasonable competitive rates. Always looks at overall health as well as his specialty. Alex at the Front Desk was terrific……Dr. Jacobs was informative, efficient, knowledgeable and gives me great hope for a pain-free lower back issue! Thank you. I still feel better this evening. No totally pain free. A good start. My first experience was very exciting and I’m happy to go back tomorrow. I have always been a little fearful of chiropractic… After my visit I have changed my mind. Dr. is super kind, professional, knowledgeable, explains everything to you about how your body works and functions, I’m so impressed! Best treatment from Doctor and all staff, caring and patient attitude. Compassionate, understanding and empathetic. The doctor was able to explain with such ease about my injuries and how to better take care of myself. So happy with treatment. Back pain is gone after 5 sessions. Very happy. Very professional. I felt 100% better walking out. Highly recommended.